When you come to Atlanta on business for an extended stay, the last thing you want to be worried about is how to be comfortable at the end of a long day. That’s why TP Corporate Lodging works with some of the top complexes in the best Atlanta neighborhoods to provide quality furnished corporate housing with plenty of amenities and creature comforts. Below, we’ve spotlighted just five of the top furnished corporate housing options that Atlanta has to offer. It’s high-rise luxury in the heart of Atlanta! Sky House South offers elegant, modern 1, 2 and 3-bedroom units in with private balconies and spectacular city views. Work out in the state-of-the-art fitness center, swim in the rooftop salt-water pool, enjoy a game of pool in the club room or grill steaks on the terrace. Park your car in the controlled-access garage and walk to the multitude of shops, restaurants and other attractions Midtown has to offer. Situated in the heart of Buckhead near the popular Phipps Plaza, Phipps Place is a resort-like complex featuring landscaped courtyards and an inviting swimming pool with outdoor grills all around. Entertain colleagues in the outdoor kitchen area with large screen LED TV, work out in the 24-hour fitness center, get some extra work done in the Executive Business Center, or step outside to enjoy some of the finest shopping and dining options Buckhead has to offer! Located in one of Atlanta’s oldest-yet-newly-revitalized neighborhoods, BOHO4W lets you take in the eclectic vibe of the area with easy access to Ponce City Market, the new Beltline trail and more! Amenities here include a steam room, Olympic-sized pool, jogging/bike trail, cabana, and a fitness center with your own personal trainer available if you want one! Enjoy the finest of Atlanta’s suburban life at Citizen Perimeter, one of the area’s finest luxury complexes. Bright, well-appointed apartments offer plenty of space, elegant finishes and private balconies with gorgeous views. Relax at the saltwater pool, get some exercise at the fitness center, or walk 3 blocks to the shops and restaurants of Perimeter Mall. With an on-site pet walk area and pet spa, you can even bring the dog along! Relax with resort-style amenities in one of the Atlanta metro’s most sought-after neighborhoods. Walton Riverwood is a pet-friendly community offering bright, clean luxury apartments with open floor plans, high ceilings, granite countertops and more. Amenities include a pool, 2-story fitness facility, on-site dog run and pet spa area, library and rooftop deck with views of the Atlanta skyline. Conveniently close to great shops, restaurants and a movie theater. These are just a few of the dozens of prime locations where TP Corporate Lodging offers comfortable furnished corporate housing options in Atlanta — all for less money than you’d pay for a comparable extended stay hotel. 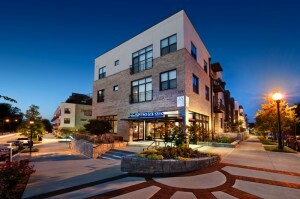 View more furnished corporate housing options in Atlanta.